Scroll down to activate the social share locker. Remember to Pin on your Facebook board on Pinterest! Did you know there's a fast and easy way to create a Facebook group traffic loop that will help you sell more courses? This post will show you how to group and nurture your Facebook group, build a back-up email list AND not upset anyone in the process! Are you ready to build an engaged community using Facebook? Set up your Facebook group. It should be a closed group so you can foster a sense of exclusivity easily. Add a group header. You can create on Canva.com I recommend adding a photo of yourself as well as your logo. You want people interested in your group to see that you're a warm and approachable person. Choose the type of group – I choose community. Connect your group to your Facebook page. Connect to Group Convert. This nifty piece of software collects the email addresses that people add into the group and adds them to a spreadsheet. You can then import the spreadsheet into Active Campaign, or another email program. Remember to ask for consent, and remember to keep the spreadsheet so you can track where the consent for GDPR came from if you ever need it. I have mine in a OneDrive folder for safekeeping. Write a list post packed with resources. One of those is my free Facebook group, and I recommend that you add yourse to your list of resources too. I make sure the audience can identify themselves from the headline, create a branded image for Pinterest and optimise it for social media as well as making it search engine-friendly. What lead magnets work best? I usually send them to a post with a social locker to increase visibility. These posts are the kind of post that ask you to share to unlock the gift, my audience loves checklists and these lend well to promoting an online course. Because I pay for the social locking tool, I can give a gift to my new subscriber, but the URL that they share is to my Facebook group – a magical viral traffic loop. Social Locker for WordPress website. The next step is to nurture the new community and let them get to know us. We want our community to be excited and engaged with our best quality content. We want to talk about the problems our community have, and how our course can help them. You can share screens and show your training skills as you livestream. I use Streamyard for this. I love that Streamyard makes it easy to share screens, that I can change the screen layout and that I can have a lower thrid that's easy to customise. When you have a few people on your email list, start sending a weekly digest about the questions in the group. Send links to videos that you've done and ask them to vote in polls. You can increase engagement very easily using the emails, and you look like the great community leader that you are! Why don't more people do this to build their group and engagement? There's a lot of people who'd like to detach themselves from their potential customers, for a number of reasons. They could be shy, or introverted. It could be they prefer to run ads to their group than create content that converts. They may think they're time poor, or they may think they don't know what to say or how to say it. I know from experience that quick 10 minute daily videos will help you sell more courses and Facebook groups are perfect for this. What would you be able to share in 10 minutes that would grow your audience and have them excited to work with you, or take a course? The last tool that I want to share with you is time sensitive and it's all about crossing the streams https://www.leadslaunchleverage.com/restream I love this tool because you can chat across multiple platforms and so can your viewers – it's fantastic for helping you nurture and grow your community. So there you have it! A simple system to build your email list using Facebook groups, build and nurture your community and talk to them no matter where they are! 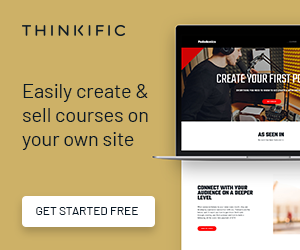 Enjoy this fast and easy way to sell more courses, create an engaged community and ensure you have a steady stream of people excited to get to know you. P.S. Want to see the social locker in action? Share this post and unlock a free checklist for Facebook groups. Facebook Group Checklist – social share <—- Right click and “save-as” to your desktop to open, read and action!